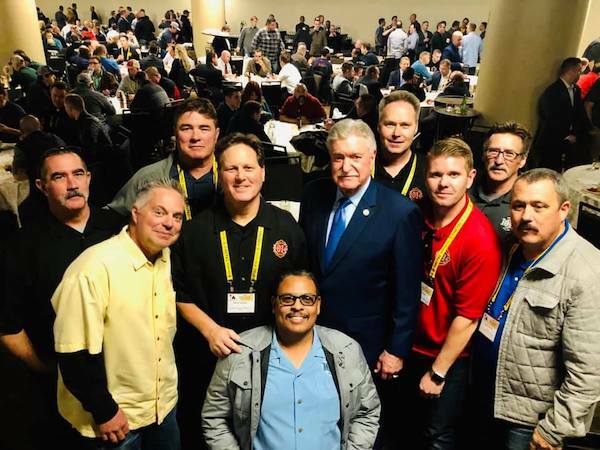 Last week, your Executive Board attended the IAFF’s Vincent Bollon Affiliate Leadership Training Summit (ALTS) in Los Angeles. At this conference our Board members trained on critically important issues including: collective bargaining, grievances, leadership, communications strategies, crisis communications, social media, behavioral health, political action and more. We would like to thank IAFF 10th District VP Frank Lima for setting up this programming for our members. 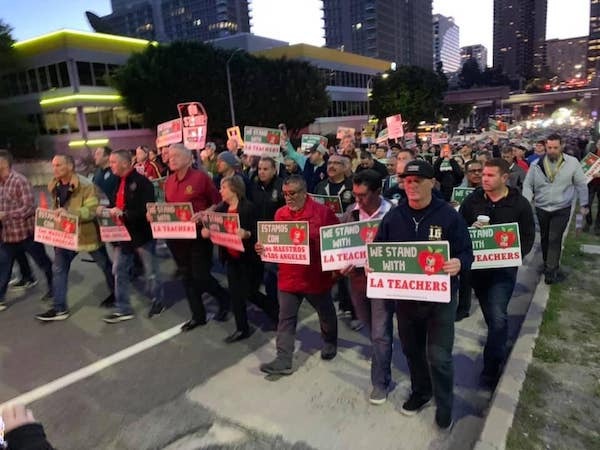 At the conference, Local 1014 was proud to have stood in solidarity with our United Teacher Los Angeles (UTLA) brothers and sisters to bring attention to their cause and set the tone for teachers and school districts across the nation. 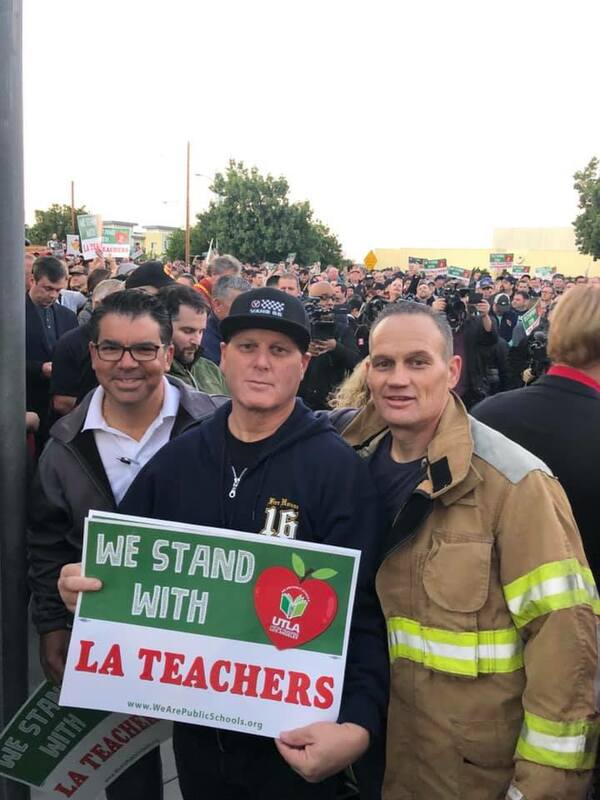 We marched in Downtown LA with 1,600 of our IAFF brothers and sisters and it was no coincidence that same morning a deal was struck for UTLA. Thermal Imagers: Why don’t we have Thermal Imager in every officer’s hand, if not every Firefighter’s hand on the job? In the last decade, Thermal Imagers (TI) have become one of the most effective tools in the fight to save Firefighter lives. Though modern tactics and equipment have evolved, the most effective method to prevent or reduce the loss of life and property is to extinguish fires quickly. Thermal Imagers may be the single most effective tool to achieve this result. By enhancing our ability to locate victims and the ‘seat of the fire’ quickly, we can dramatically reduce the impact of fire. TIs allow us to mitigate the risk to firefighters prior to entering an IDLH environment. By providing the ability to immediately assess the fire conditions during size-up and during the first minutes of initial attack. TIs allow Company Officers to constantly assess changing fire conditions and to understand if interior conditions have become untenable. Under certain conditions, TIs will allow Company Officers to assess flow path and modify tactics accordingly. TIs provide the absolute quickest, most effective means of locating downed firefighters or civilian victims. When employed by a Truck Company during ventilation operations, Thermal Imagers can allow Company Officers to identify structural members as well as identifying the surface temperatures of roofing. This will allow the Ventilation crew to quickly and accurately ventilate. TIs are an invaluable tool during overhaul and lessen the chance of ‘re-kindle’. As part of our ongoing effort to ensure that our members have the best equipment and technology available to do their job and remain safe, Local 1014 will be asking key questions to hold the Chief Deputy of Operations, the Chief Deputy of Business Operations, and ultimately, the Fire Chief accountable for not securing this equipment for our members in a timely manner. Every engine truck and squad should have a TI in their hands. 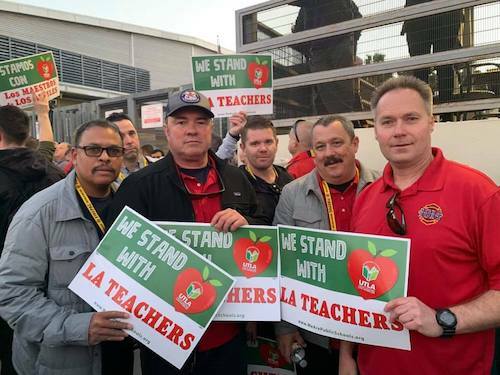 As you may know, after our members ratify our 601/602 Tentative Agreement, the Los Angeles County Board of Supervisors (LACBOS) must also ratify the deal. While we were hopeful this would happen next Tuesday, we had to postpone one week due to the fringe benefit bargaining with the County Coalition of Unions (CCU) which is still ongoing. We are pushing to settle the fringe bargaining table with more salary added to our MOU. This is taking more time but it will be worth the extra wait. After ratification by the LACBOS we will see retroactive pay and audits process begin. All unions are working day and night together lobbying LACBOS and the County’s Chief Executive Officer to get fair terms for our members on the CCU bargaining side. Stay tuned we expect to have detailed information in the next two weeks for conclusion to our CCU contract. Bargaining Unit 603/604 negotiations are in full swing with membership meetings scheduled over the next few weeks. We are pushing for a swift process with the County and a fair and generous resolution for our non-safety members. More information will be available as the table formally moves forward over the next two weeks. As many of you know, we garnered extra vacation days/hours after you have served 20+ years in the last fringe benefit negotiations. Local 1014 Safety Members have been denied the ability to accrue these hours/days if they haven’t “used” hours below the max accrual and payout hours. We have combatted the unilateral position of the County regarding their administration method for these extra days. We had an agreement to allow members to use these extra days outside of the normal vacation hour bank and if not used, then to be paid out in termination pay. The County did not move to implement this simple language but rather opted for the “use it or don’t accrue it” and have even removed hours from the bank when already accrued. We have filed a Grievance General in Character and we now move forward to an arbitration with the Employee Relations Commission (ERCOM). We are now selecting hearing dates and have agreed upon a hearing officer. We will continue to update you on this very important matter. If you have been harmed or are coming up 20+ years, please contact the Union and place your name on our list - we may need witnesses to testify in the hearing.